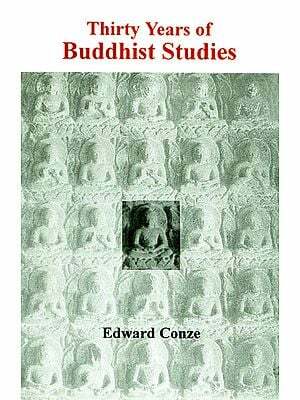 A considerable part of this book is devoted to the study of the Prajnaparamita of Mahayana Buddhism. This text marks a breakthrough in Buddhism, since it provides an explanation for the emergence of written texts, which gradually replaced the previously predominant oral tradition. The analysis of the text is based on the key terms of the sutra: dharma, bodhisattva and prajnaparamita. In focusing the term dharma author states that dharma is both a text and an element of a text that, in its turn, is also an element of the mind-since the mind manifests itself through an act of text-generation. Dharma can also be regarded as a text that generates other texts, i.e., as a text generating mechanism. Descriptions of bodhisattvas who have reached different levels are also quite interesting. The term prajnaparamita refers both to a text created according to certain rules and to an aspect of the highest state of mind. Other Buddhist text are discussed as well, for example the Heart Sutra is used to explain the mechanism of the process of text-generation in Buddhism, and an analysis of the Bodhicaryavatara by Santideva explicates the role of the dialogue in the structure of the text. Also some non-Buddhist text are treated in the book, the Bhagavadgita and the Daodejing are compared as the 'light path' and the 'dark path' respectively; the Daodejing is separately analysed as a schematic text what offers new possibilities of translation. The last part of the book presents the concept of humanistic base texts. It focuses on some of scriptures that have emerged from Indian, Chinese, and Mediterranean cultures and observes their formation process, structure and influence throughout the history following the principle that all these texts convey - the humanism. Mall gives also an overview of Buddhist mythology and Tibetan cultural model. Linnart Mall graduated at University of Tartu (Estonia) and received his Ph.D. at Institute of Oriental Studies (Moscow). He currently works as head of Centre for Oriental studies in University of Tartu. He is also founder and president of the Estonian Institute of Buddhism.